Using whole wheat couscous adds 5.4 extra grams of fiber, keeping you full. This salad served cool is perfect for hot summer nights. This makes an excellent dish to bring to a party. This recipe is for patients in a Transitional Weight Loss Program (Nutriplus, Balance Your Pyramid) or on a Maintenance Program. This IS NOT a recipe for patients still losing weight. If you have a question about what you may or may not eat on your personalized program, call your Metabolic office. 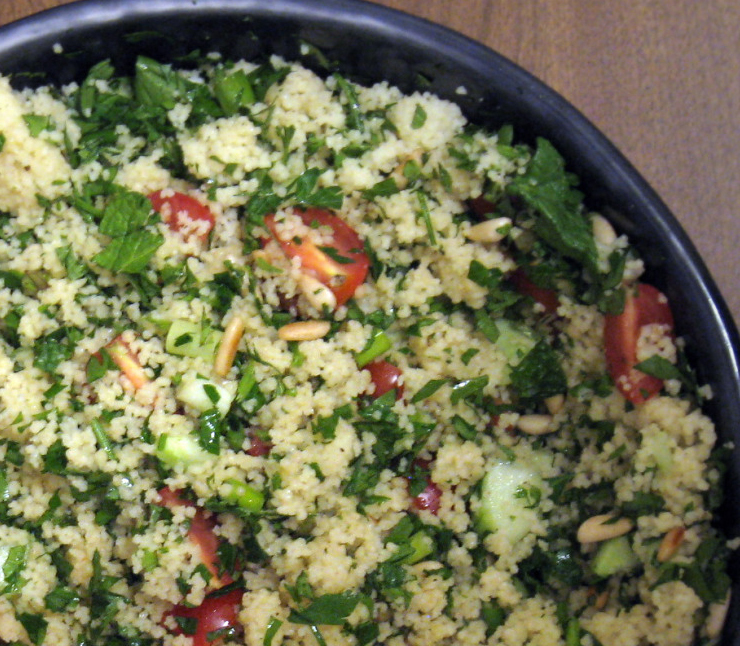 Combine couscous, tomatoes, and next 5 ingredients (through dill) in a large bowl; toss well. Add cheese. This entry was posted in Nutriplus Recipes (Balance Your Pyramid), Party & Entertaining, Salad, Vegetables and tagged couscous, couscous salad, dill, fat-free feta, fresh herbs, main dish, Metabolic Medical Center Recipes by foodies4mmc. Bookmark the permalink.